For almost four decades, Thomas Quasthoff has set the standard on international stages, moving the hearts of countless listeners with his artistry. He ended his outstanding career as a singer in 2012. However, he has retained his close ties to singing and music as a teacher at the Hanns Eisler Music Academy in Berlin and in various master classes. In addition to his teaching commitments he has also discovered several new talents, appearing as a narrator, comedian, moderator and even actor. One of the most remarkable singers in his field, Quasthoff was a frequent guest of such orchestras as the Berlin and the Vienna Philharmonics and many other fine orchestras. He could regularly be enjoyed at all major music venues, working closely with conductors such as Claudio Abbado, Daniel Barenboim, Christoph Eschenbach, James Levine, Bernard Haitink, Mariss Jansons, Zubin Mehta, Riccardo Muti, Seiji Ozawa, Sir Simon Rattle, Helmuth Rilling, Christian Thielemann, and Franz Welser-Möst. Thomas Quasthoff’s 1995 début at the Oregon Bach Festival laid the foundation for his highly successful career in the USA. Returning numerous times for appearances with the most important orchestras and festivals, he regularly appeared at New York’s Carnegie Hall following his outstanding recital début there in January 1999 (WINTERREISE by Schubert). Thomas Quasthoff gave his highly acclaimed opera début in 2003 in the role of the Minister/FIDELIO with the Berlin Philharmonic under Sir Simon Rattle at the Salzburg Easter Festival. His extraordinary début at the Vienna Staatsoper in the role of Amfortas in Wagner’s PARSIFAL under Donald Runnicles followed in spring 2004. In January 2005, he returned to Vienna in the same role to perform under the baton of Sir Simon Rattle. Thomas Quasthoff has been artist-in-residence at Vienna’s Musikverein, Amsterdam Concertgebouw, Carnegie Hall, and the Lucerne Festival, as well as in Baden-Baden, Hamburg, London Wigmore Hall, and the Barbican Centre. He released his new soul/blues/jazz program Tell It Like It Is in 2010, bringing him to numerous concert venues throughout Europe. Mr. Quasthoff has something to say – and not just musically. Since his great success in the fall of 2012, where Thomas Quasthoff appeared for the first time as an actor in the role of Feste in Shakespeare’s TWELFTH NIGHT, OR WHAT YOU WILL he continues to play this role at the Berliner Ensemble. Further highlights of the past seasons included concerts with the Belcea Quartett in Hamburg, Berlin and London where he performed in Haydn’s “Seven last words” as speaker, as narrator in Schönberg’s GURRE-LIEDER with the Berlin Philharmonic Orchestra under Sir Simon Rattle or in Schönberg’s A SURVIVIOR FROM WARSAW with the Vienna Radio Symphony Orchestra under Cornelius Meister. In July 2014 Thomas Quasthoff was highly acclaimed as Bassa Selim in Mozarts DIE ENTFÜRHUNG AUS DEM SERAIL at the Festspielhaus Baden-Baden. The 2014/2015 season saw Mr. Quasthoff and soprano Christiane Karg dedicating their joint artistic forces to the work of French poet and novelist Louise de Vilmorin, while at the Vienna State Opera he contributed and recited texts by Joseph von Eichendorff to a recital with tenor Michael Schade. From September 2013 onwards Thomas Quasthoff went on to conquer the cabaret stage together with cabaret artist and author Michael Frowin and pianist Jochen Kilian. They sounded out the public opinion and put art and culture, society and events of the day, types and thesis under the cabaret artist’s microscope. Projects of the 2015/2016 season included amongst others Schoenberg’s GURRE-LIEDER under Ingo Metzmacher in Hannover. Thomas Quasthoff could be heard together with Florian Boesch in a literary recital around Heinrich Heine in Hamburg, Amsterdam and Graz. The innovative Verbier Festival and its artistic director Martin T:son Engstroem invited Thomas Quasthoff to make his conducting debut in July 2015 with Bach’s ST. MATTHEW’S PASSION. Highlights of the upcoming season are Jazz concerts with Frank Chastenier (piano), Dieter Ilg (double bass) an Wolfgang Haffner (drums) in Zurich, Vienna and Essen as well as Schoenbergs A SURVIVOR FROM WARSAW with the Bavarian Radio Symphony Orchestra under Mariss Jansons in Munich. Thomas Quasthoff was a professor at the Hochschule für Musik in Detmold from 1996–2004, and has taught at the Hanns Eisler School of Music in Berlin ever since, where he dedicates himself passionately to the upcoming generation of singers. This devotion inspired him to launch the “Das Lied” international song competition, which will take place next in February 2017. Master classes will bring him again to the festival Heidelberger Frühling, to the Verbier Festival to the Summer Campus in Rostock as well as to the Aldeburgh Festival. Thomas Quasthoff began his vocal studies with Professor Charlotte Lehmann and Professor Ernst Huber-Contwig in Hannover, Germany. His national and international music awards include, alongside many others, first prize in the ARD International Music Competition Munich (1988), the Shostakovich in Moscow (1996), and the Hamada Trust/Scotsman Festival Prize (Edinburgh International Festival 1996). He received the Order of Merit of the Federal Republic of Germany from the President of Germany in 2005, the European Culture Prize for Music at the Dresden Frauenkirche, the Gold Medal of the Royal Philharmonic Society in London, the Herbert von Karajan Music Prize of the Festspielhaus Baden-Baden in 2009, and the Gold Medal of London’s Wigmore Hall in 2011. In addition, he was conferred the title of Österreichischer Kammersänger in 2009. Starting in 1999, Thomas Quasthoff had an exclusive recording contract with the Deutsche Grammophon Gesellschaft (DGG). His CDs have been awarded many prizes and three of them have received a Grammy: Mahler’s LIEDER AUS DES KNABEN WUNDERHORN (together with Anne Sofie von Otter) under Claudio Abbado, orchestrated Schubert Lieder (with the Chamber Orchestra of Europe, also under Claudio Abbado), and in spring 2006 for his Bach CANTATAS together with the Berlin Baroque Soloists. Six of his recordings have been honored with an Echo Award. 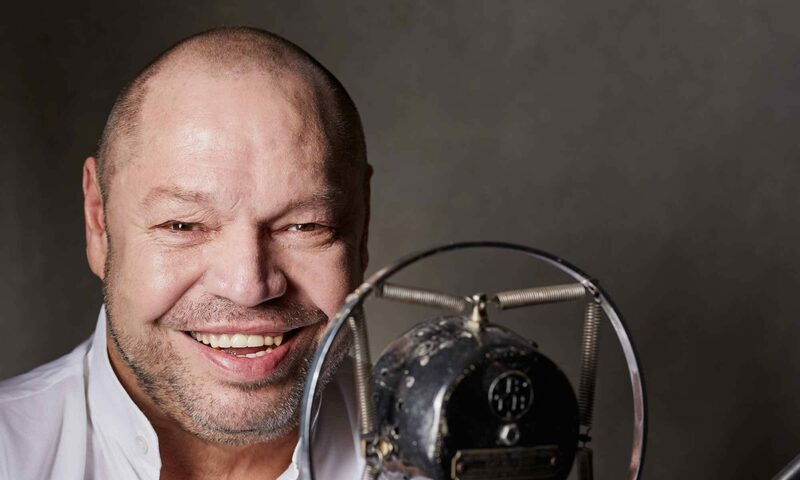 In December 2014 his latest album was released by Deutsche Grammophon: Quasthoff has united the cool and relaxed song sound of the jazz singer with his penchant for fine poetry in a new concept album: Mein Weihnachten is a vocal excursion into the cool and swingin’ early holiday season in the USA with a literary interpretation of our Christmas.